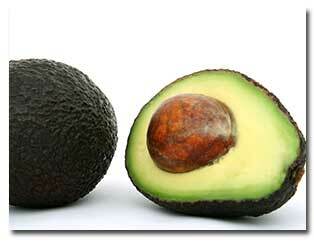 Avocados: If you live near the coast (or any frost-free area), start fertilizing your avocados this month (February). If you live inland, wait until March (to avoid frost damage). Mature avocado trees (8 years old or older) need about two pounds of “actual” nitrogen per year (Give young trees proportionately less). You can do this by applying 25 lbs of aged chicken manure in February (or March if inland) and then sprinkling a cup of blood meal and 1/2 cup of bonemeal under each tree every 6 weeks through August. Don’t rake up leaves that have fallen. Allow them to remain under the tree; Studies have shown that a very thick layer of mulch protects avocado trees from avocado root rot (Phytophthora). Citrus Trees: February is a good time to clean up your citrus and take steps to prevent citrus pests. Start by pruning any branches that touch the ground to help close off access to ants. Clean the tree with a spray of soapy water made with insecticidal soap (according to package instructions). Use a hose-end sprayer to get adequate water pressure. This removes dust, allowing beneficial insects and mites to attack pests. Finish by wrapping the trunk with a sticky ant barrier such as ‘Tanglefoot’. Do not apply Tanglefoot directly to the tree. First wrap the trunk with a strip of paper (use either cotton or a nylon stocking under the paper to keep ants from crawling under the paper) then apply Tanglefoot to the paper. 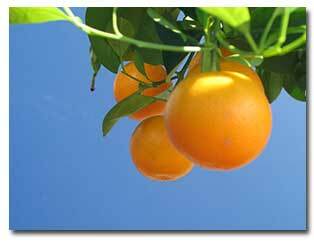 If you live near the coast (or any frost-free area), continue fertilizing your citrus. If you live inland, wait until March (to avoid frost damage). Mature citrus trees need about one pound of “actual” nitrogen per year. Split the fertilizer into equal portions and apply once a month (or every other month) until June.